Great Loop - How much to cruise or travel on a houseboat? Houseboat cruising - Travel part of the Great Loop. A dream houseboat cruise - I would like to travel part of the Great Loop, and would like to know how much to calculate in houseboat expenses? 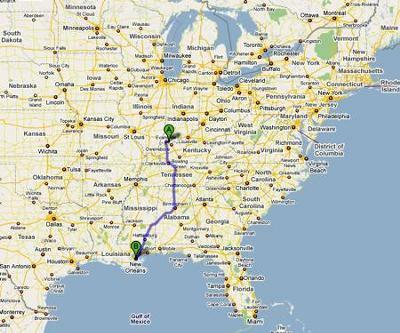 I want to take a year off, and put a houseboat into the headwaters of the Ohio River, and travel to New Orleans. Do you know anyone who has done it? What type of houseboat would I need, and what are the costs and expenses associated with such a trip? Well Michael, congratulations on your decision to act on your houseboat dream to cruise part of the Great Loop. I'm sure many of our readers are envious of you taking a "year off" and planning a major houseboat cruise like this. What type of houseboat for the trip? 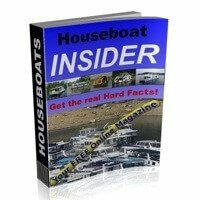 You may want to have a look at out houseboat manufacturers listing to get the names of the current and past houseboat builders. As to what type of houseboat, some people have done it in 25 foot trailerable houseboats, and some have opted for larger twin engine 50-75 foot houseboats. There's a good houseboat designs page to better visualize the different styles available. 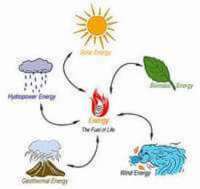 Either way, you want a reliable, properly equipped, and powerful enough (for the current) houseboat to handle some of the natural navigational conditions and hazards that such a trip entails. What are some of the expenses and costs? give you an idea, a smaller trailerable houseboat can get @ 3-4 miles per gallon MPG, and a mid sized houseboat would get @ 1 MPG, and a larger houseboat probably around .5 MPG. 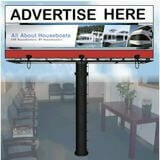 Marina costs can vary from 0.50 cents per foot to 1.50 dollars per foot for full service marinas. Along the way, you will find some free public overnight docking, to the occasional suitable overnight anchorage. Previous boating experience and equipment needed? 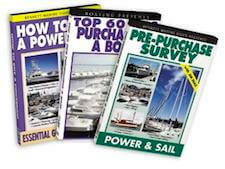 You don't mention if you have any previous boating experience, so I would recommend a local Power Squadron Boating Course to get started. After completing a boating course, you will know what is necessary, recommended and handy equipment to have on board. As usual when planning any major cruise, you will want to plan for fuel, overnight stops, maintenance & repairs, weather, marinas, and the commercial traffic (barges etc...) that will be encountered along the way. PS, Michael, if you start your houseboat voyage, be sure to keep a journal and take pictures, and do come back here and share parts of your houseboat adventure with us all, we would all love to hear about it. Lastly, hopefully some of our readers will share and post comments about their houseboat cruising traveling experiences. Feel free to use the "Click here to post comments." link found at the bottom of this page. 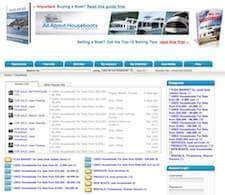 Comments for Great Loop - How much to cruise or travel on a houseboat? Cost for cruising the Great Loop from the Ohio to New Orleans will depend on the size & type of houseboat, as well as the size & type of your engine(s). Since you do not mention the length of your houseboat, or it's power, ie: size, horsepower and number of engines, it is impossible to give you a decent cost estimate. Furthermore, if cruising the "Lower Mississippi" river from Cairo to New Orleans, you only have two fuel stops between Paducah to beyond New Orleans, so you "must" have a fuel range of 450 miles. If not, take the "Tennessee-Tombigbee route to the Gulf ICW where you have dozens of fuel stops. (It's a better route anyway - lots more to see and do. 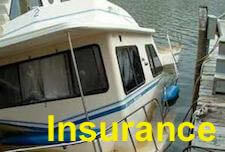 As to costs - anchoring out will save you a bundle vs staying in Marinas. Marinas average charge for an over-night slip is about $1.53 a foot per length of your boat. As for fuel? It's averaging about $3.00 a gallon and depending on 1 or 2 engines, and your speed, you could spend between $4,000 to $14,000 (or more)in fuel. The Ohio is 935 mile from Pittsburg to Paducah, and the Lower Mississippi is another 909 miles from Paducah for a total of 1844 miles. The Tenn-Tom route is only 1477 miles and offers a lot more wonderful State Parks, Marinas, and interesting places to stop, see & do - not to mention it only requires a fuel range of 250 miles. For more you can google me. I will be giving it a go too...I will just take my time , & plane my departure time with the weather. I think with a good reliable ship & a good head on your shoulders , it is quiet possible to complete if not in any hurry. I will be doing it in a 375 Harbor Master w/Bravo 2 outdrive..
As of 2017, I have now cruised the Great Loop 8 times in 6 different vessels, both sail & power. Retired I've been living and cruising on my boat(s) full time for the past 24 years. 1. From Carrabelle to Steinhatchee Florida, there is a 76 mile open water Gulf crossing. 2. There is another 22 mile open Atlantic journey between Manasquan Inlet and Sandy Hook NJ. 3. In addition to the above, you have some rough waters to cross at Pamlico Sound, Albemarle Sound, Chesapeake Bay, out the Delaware River, and Sandy Hook Bay across New York Harbor to the Hudson River - Not to mention that unbelievable up hill against the current stretch on the Niagara River (just above the Falls) between the Erie Canal & Lake Erie. As sad as it is, this simply is not a voyage for a houseboat. If I thought is was, I would have one. I've made it around America's Great Loop 7 times. I've done it under sail & power - but never in a "houseboat". I am retired and live on my boat full-time. So a houseboat would be wonderful - if only I believed it could make the Great Loop SAFELY! Which I have serious doubts about. Yes, it would be great cruising down the inland rivers of the Tennessee and Kentucky Lake, Cumberland Lake, and Cumberland River... and in fact on most days, it would be fine on the Intracoastal waters - until of course you reach places like Albemarle Sound, Chesapeake Bay, Delaware River, and once you reach Manasquan Inlet in NJ, you have a 26 miles of open Atlantic to cross, and in the Gulf you have another 76 or more depending on your route across the Florida panhandle. I see houseboats all along in places around the Great Loop - but I've never met anyone actually doing the Loop in one. No... not in over 23 years living and cruising it myself. John, thanks for sharing your thoughts, but just because "you" haven't seen it, doesn't mean it is not being done. I personally have met boaters who have done it in "houseboats". Yes, there are flat bottom style lake houseboats, yet there are also planing, V hull style houseboats that can cruise at 25 knots or with 3 ft of freeboard, that can handle a fair amount of chop, waves, and rollers (any captain has to watch the day's weather forecast/radar before departing). Gibson or Harbor Master ? I guess I am going to be a more to the point kinda guy :-) I am retiring next year and I want to do the great loop. I really would appreciate if the "knowing" Folks out there to help a dummy out. My question is, which would be the better great loop boat. A Gibson 50 Classic or the Harbor Master Coastal 520. I am planning on the bigger boat because when I get back to Texas it will be My Home also. Thanks in advance. Ron. Michael, if you have a year, do the whole loop! Just plan on going DOWN the Mississippi! Good question Michael and appreciated reading the response. We're in the midst of remodelling the interior of a 33' (35' with platfrom) Chris-Craft Aquahome. Our goal is to float it to Florida for the 2010-11 Winter. We haven't taken the MPG into account yet. Maybe the price of fuel will remain affordable. We recently paid as much as $1.45/litre, but it's currently $.83-84/litre. Let's hope the economy works in our favour. Depending on your planned departure, perhaps we'll connect on the water.